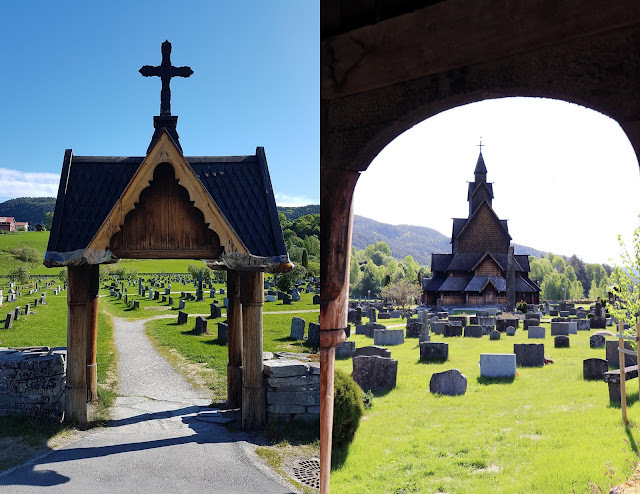 Chris' one request of our Norway trip was to see a Stave Church, so we googled around and found that the largest one in Norway is just two hours from Oslo. Off we went! 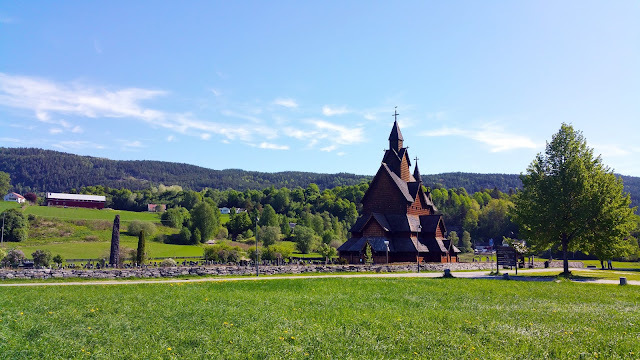 Destination: the Heddal Stave Church. It's always fun to rent cars and drive off the beaten path while exploring these countries. We get to see "behind the scenes," if you will, the everyday, normal life. 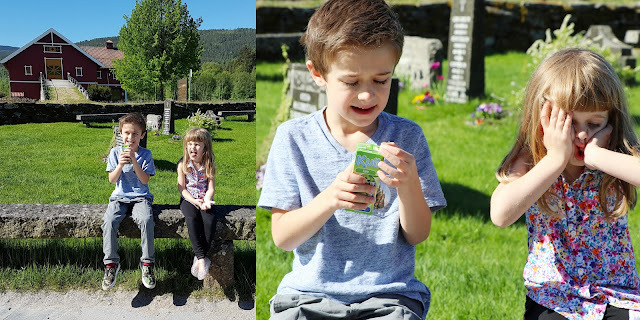 I could have sworn we were driving around Bellevue, Washington, the landscape and houses are so similar! After passing by incredibly beautiful forests and mountain lakes, we arrived in the town of Heddal. 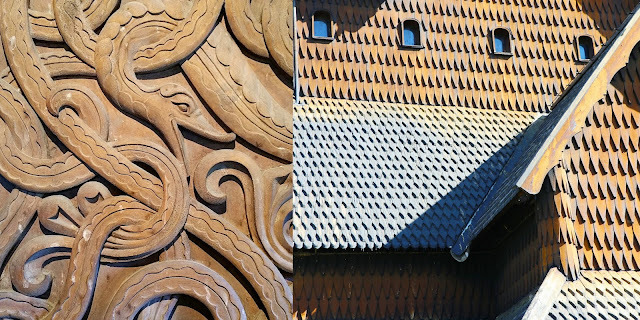 Norway's stave churches are a monument to the country's heritage, a heritage that wove together traditions from the older Viking Age with Christianity that arrived in the Middle Ages. No better is this blend seen than in these incredible timber churches. 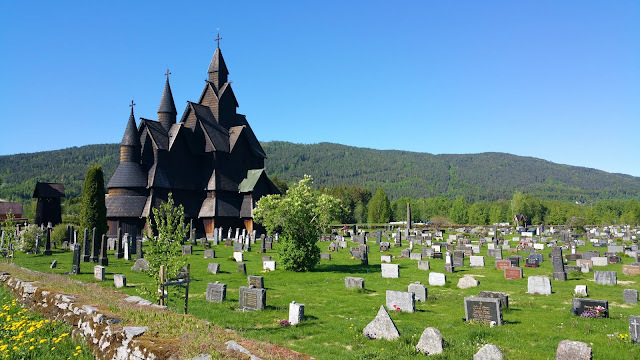 There was once almost 1,000 of these wooden churches throughout Norway, but only 28 remain, with this one at Heddal being the largest. 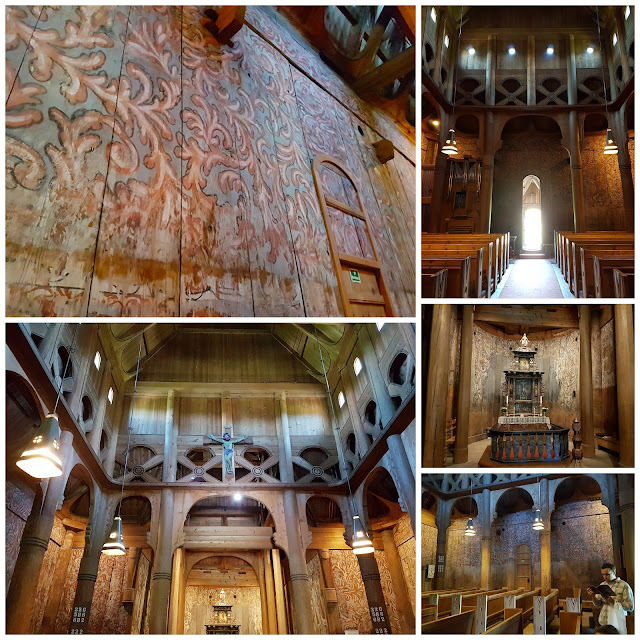 The church dates from the early 1300s and the interior has been returned to what it looked like when it was first dedicated, removing some updates that had been added over the centuries. And how about that setting? Not too shabby! 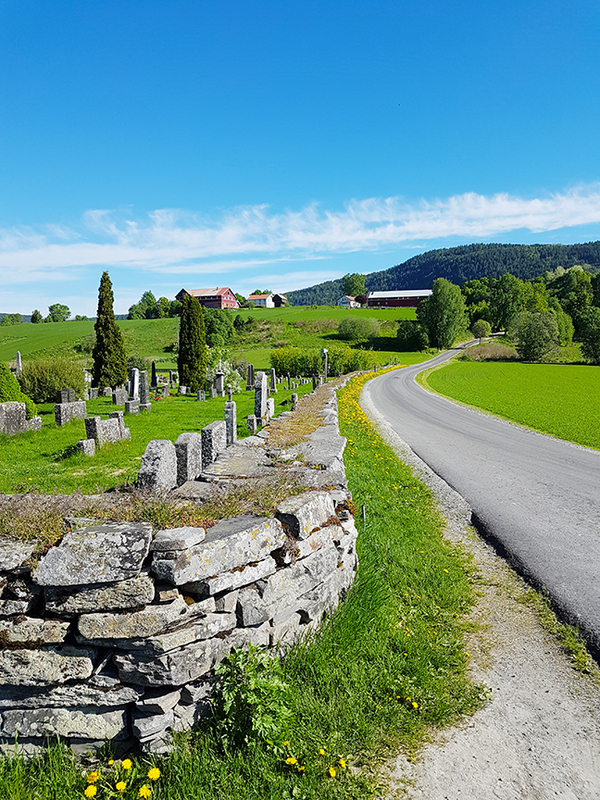 A cemetery surrounds the church. Across the road from the church is a visitor's center, museum, and cafe in an old barn. Speaking of cute, how about these kiddos? They are somethin'! 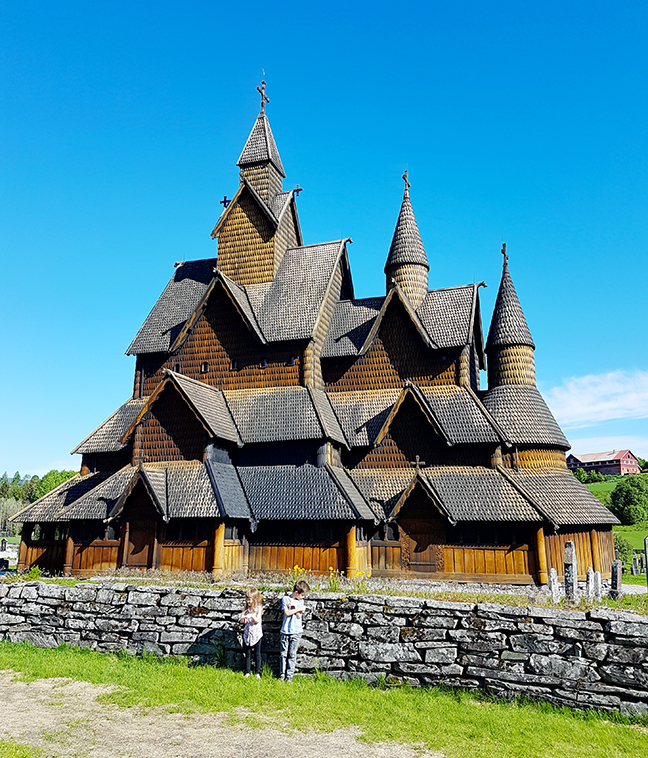 Here are a few video highlights from our day trip to the church: Our family at the Heddal Stave Church in Notodden, Norway on Friday May 26th 2017. Such a great way to end our #evansfamilyeuropeanadventures! What a gorgeous church!! If it wasn't for the crosses, I would think it's a house!!! !